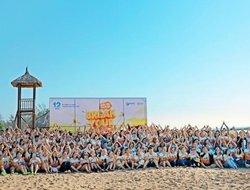 In early January, the most anticipated event of the year – company trip to Phu Quoc to celebrate 12th anniversary of Dai Viet - took place with many interesting activities and memorable moments. The scene of nearly 1000 Dai Viet people reuniting, looking back at the 12-year journey, and shouting together: "Dai Viet 12 Plus" under hundreds of sparkling light bubs has become an emotional moment in everyone's heart. We are proud of our journey and always believe that each one will always develop along with a strong collective development. Dai Viet Plus, You Plus! 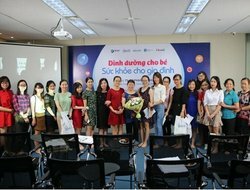 On the occasion of Vietnam Women’s Day – October 20, Dai Viet Group organized a series of events to celebrate the special day. 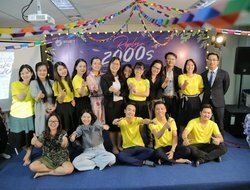 With the theme “Youth”, the events included: Big V radio; costume contest associated with the debut of Dai Viet Art Club; and Welcome gift for female staffs. Dai Viet’s ladies had a chance to “come back” to emotional youth. 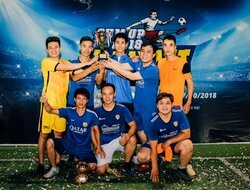 In late September and early October, Dai Viet Group teamed up with Dai Viet Football Club to successfully organize the first football tournament called “Sump up” DaiViet Football Club. With passion and enthusiasm, players from Dai Viet created beautiful and memorable moments in the first season, promising more success in the next tournaments. 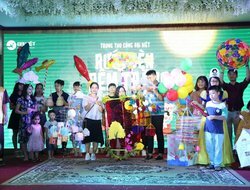 On September 22nd, Dai Viet’s Mid-Autumn Festival took place in Hanoi with the participation of nearly 250 children and more than 200 staff and relatives. On 10 May 2013, Dai Viet Group officially entered the potential but challenging Ho Chi Minh City (HCMC) market. Over the 5-year journey, from the first days with a lot of difficulties, thanks to the consensus, the collective strength of staff together with the direction of the Group's Board of Directors (BoD), HCMC branch has achieved many important achievements, meeting the BoD’s expectations. To celebrate 5th anniversary as well as give all employees a chance to look back on a thorny road, on May 12, at the BCR Resort, District 9, Dai Viet Group jubilantly held a celebration of the establishment of HCMC branch with the participation of representatives of BoD and all employees working at the branch. 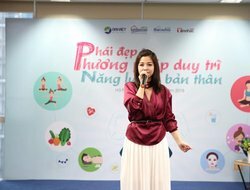 On April 14, all staffs at Dai Viet’s Ho Chi Minh City Branch had a full day to participate in a talk show named: "Maintaining Positive Energy for Office Staffs". Lots of smiles, excitement and useful information were shared by the main speaker and others from Dai Viet during the program. The amazing day was closed with gentle relaxation exercises, bringing positive energy to the participants. Busy work, family time, and everyday concerns have made many women, including the Dai Vieters, struggle to protect their body and youth. 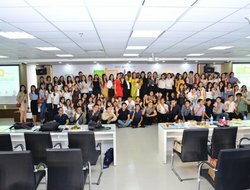 Understanding this concern, Dai Viet Group held a talk show named “Women and Methods of Sustaining Energy”, attracting the interest of many female staffs. Children Do Not Know How to Say or Parents Do Not Know How to Listen? 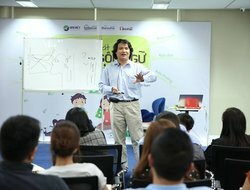 “Understanding and developing language thinking for children” is a special talk show held for parents of Dai Viet Group, with the participation of speaker - Dr. Pham Van Lam from Institute of Language, Vietnam Academy of Social Sciences. The speaker has shared interesting knowledge about the language development of children. 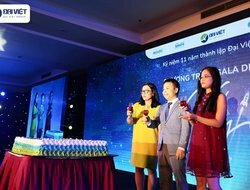 Dai Viet Group’s 11thyear establishment anniversary including three-day-and-two-night team building and gala dinner took place in Ha Long from August 13to 15, 2017 with the participation of staff members from all over the country. 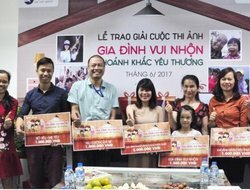 The event not only marked the 11th year in the development path of Dai Viet Group but was also a chance to express deep gratitude to each member for their constant effort and contribution to the development of the Group. What is a sensible and scientifically supported diet? How to breastfeed? How much intake is enough for your child? These health-related questions were covered at the talk show on “Nutrition for Children and Family Health”. 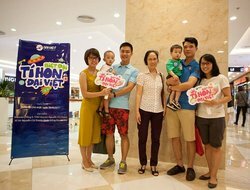 On the occasion of Vietnam Family Day (June 28), Dai Viet Group Board of Leadership launched a photo contest under the theme of “Family of fun – Moments of love,” which attracted the entries of all of our personnel nationwide. The contest was a platform for staff members to capture simple moments of their familial happiness and share them with colleagues. 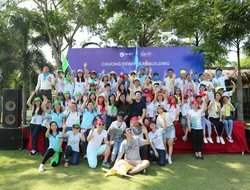 Memorable Children’s Festival of “Dai Viet Little Team"
On May 28th, over one hundred children and their parents working at Dai Viet Group had a great time at Tiniworld - Vincom Nguyen Chi Thanh. In addition to gift of cash, this is a meaningful gift that the company’s leadership gave to the children on the occasion of Children's Day.